Editor's Note: I want to know why the guys videoing this didn't put down the camera and go help the woman? Cowards. 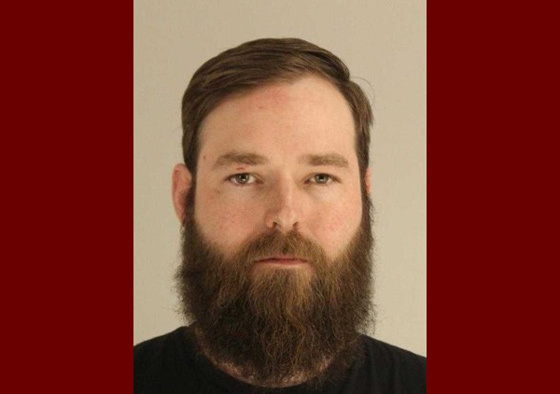 Dallas police have arrested Austin Shuffield, a Deep Ellum Bartender who was caught on witness video repeatedly assaulting 24-year old L’Daijohnique Lee. Shuffield reportedly had a gun in his hand at the time, leading Lee to call police on her cell phone, which is around the time the following video begins. In it, Shuffield can first be seen slapping the cell phone out of Lee’s hand, and then proceeding to level numerous punches to her head after she attempted to punch back following his initial attack. A witness recorded the entire event via phone and at one point it shows the man, identified as Shuffield, pull out a gun during the confrontation. He never points it at Lee or threatens her with it, however. “I got scared, I was like ‘you have a gun?’ The first thing I thought to do was call the police,” she said. Authorities wrote that Lee said she then went to call 911, which is when Shuffield can be seen in the video slapping a phone out of her hand and kicking it away from her. “He charged at me, and he just kept hitting me, and I was like ‘ok, ok, ok’,” Lee said. Shuffield, who appears in the Dallas County Sheriff’s Department photo above, has been charged with Assault.